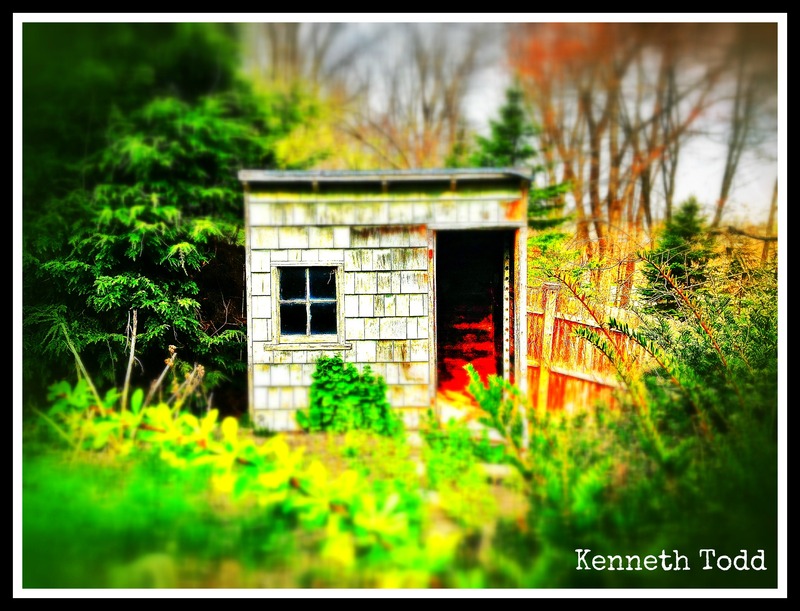 I was just messing around with my iPhone today and shot this old shed. I gave it a tilt-shift blur, which makes it look like a model / mini scale. Have you ever tried to explain where you get your ideas, inspiration or thoughts? For me I believe none of it is mine and it just comes to me from the “universe”. As long as I am “aligned” and not trying to force it, it comes. I have spoken about meditation in the past and how that helps me. Too airy fairy? To out there? Me too. Tks for visiting. She is old and beaten though. I love it too. Nice photo! I enjoy the feeling of calmness after mediation. It clears my mind and allows more creative thoughts to flow. Thanks for sharing! Awesome, thanks for the feedback. Appreciate it. Jeremy, thanks for sharing. I do the same actually, so we have something in common. Because I used my iPhone for this I edited in Snapseed – great app and is only $4.95. You can also download snapseed for Desktop or Mac I believe. So a lot cheaper than buying a lens. if you have photoshop check out this tutorial on doing tiltshift. I totally agree with Kurt Cobain….on some of my photos it’s as if the Universe takes me by the shoulders and points me to where I need to be looking. I have to be open to that and listen. Nice, I like that. tks for comments. Ha. “42 other bloggers like this post.” The perfect number. Thanks for comments. Airy fairy to others maybe, but to those similar in thinking to us, not so. it does look small. makes such a difference. That is awesome, thanks for sharing.